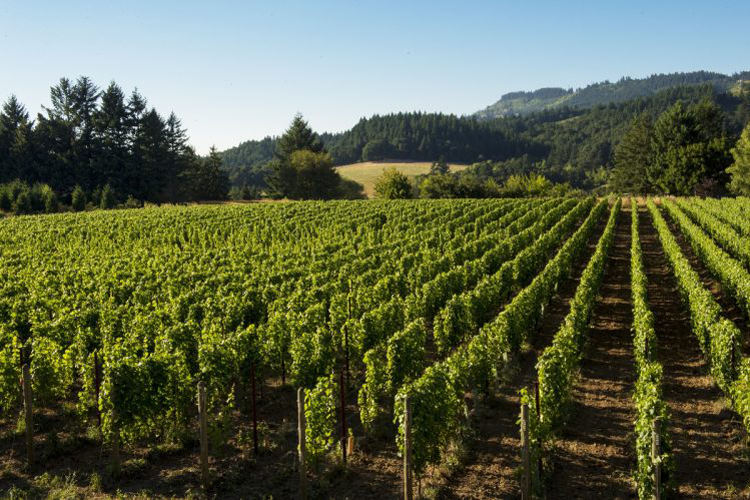 Wine regions like Napa Valley and Oregon have earned their stripes by specializing in the grape that grows best in their soils. Napa Valley = cabernet sauvignon. Oregon = pinot noir. A few years ago, I spent a fabulous summer day tasting wines throughout Oregon's Willamette Valley. I fell head-first in love with these wines, the authenticity of the people, the beauty of the valley, and the well-preserved small-town essence of the area. But after a dozen or so pinot noir tastings, I was clamoring for a different pour. Our last stop was at Argyle Winery, where they proudly produce a beautiful sparkling wine we could taste. I was giddy for the palate refresher and thrilled to learn of other Oregon wines.